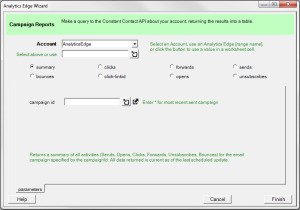 Use this wizard to get summary statistics about the selected Constant Contact campaign. The campaign is identified by the campaign ID number. 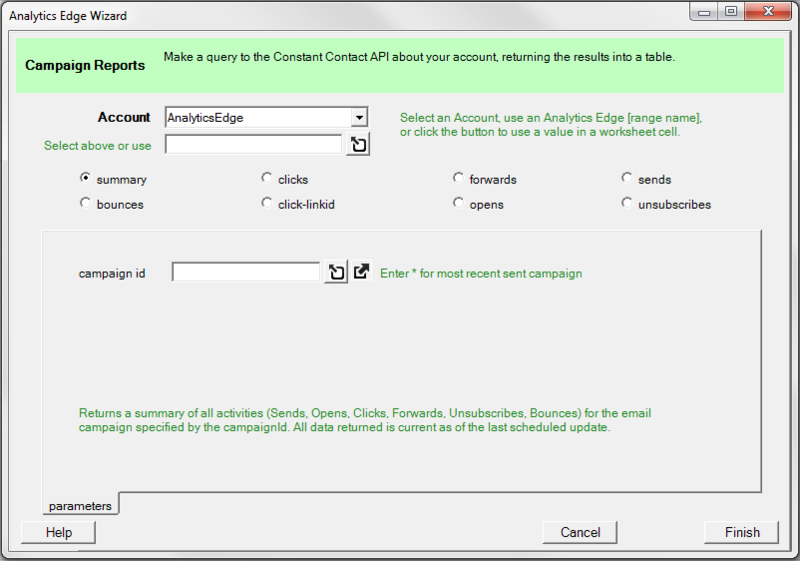 You can use the campaign selector popup to pick a campaign from those available, enter an asterisk (*) to automatically get the most recently sent campaign, or reference a value in a worksheet cell.